Make a big impact with this miniature customizable calendar! 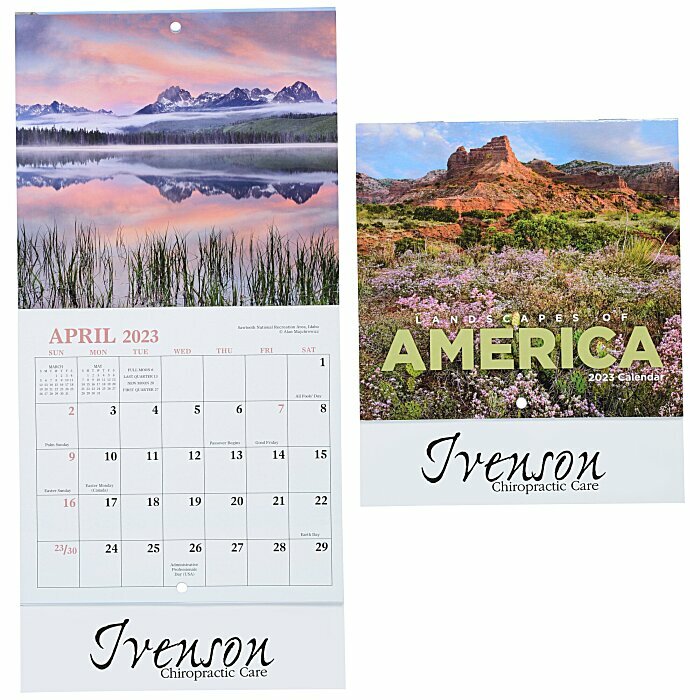 This 12-month staple-bound calendar features astonishing scenes from all across the United States. The small size makes it ideal to hang in smaller spaces, including cubicles, refrigerators or even dorm rooms. This item is perfect as a part of your next mailing campaign! Envelopes are available for an extra charge; please indicate number of plain or gift envelopes desired in the instructions box within the order process. Size: 6-7/8" H x 5-3/4 (closed); 12-1/8" x 5-3/4" (open).